Each year, over 1.5 million students take the SAT with the goal of scoring high enough to qualify themselves as worthy candidates for a desired college or university. The developers of the SAT understand that as educational requirements change nationwide over time, so must the way they assess students. This same commitment to continuous development applies to examining and certifying the cognitive competence & practical skills of apprentices and journeymen around the country in a variety of trades. National ITC (NITC), a trusted third-party testing and certification provider with 25 years experience has a proven record for maintaining ongoing examination development within the plumbing, pipefitting, steamfitting, HVAC, and many other trades. NITC prides themselves on their ability to remain at the forefront of changes to the regulations and requirements set forth by governmental agencies and private organizations alike. Given their ISO 9001:2008 Quality Management Process (QMS) status, NITC’s internal audit procedure establishes that a recognized psychometrician be utilized to validate all their examinations. This ensures you’re getting the most reliable & relevant assessment s possible. 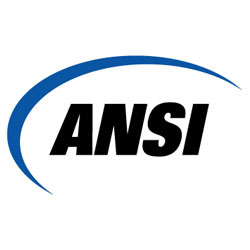 In addition, the American National Standards Institute (ANSI) accredits organizations that have demonstrated conformance to their rigorous standards. Their primary role is to oversee the creation, implementation, and use of thousands of norms and guidelines that directly impact businesses in a variety of sectors, and NITC has four examinations that have earned such accreditation. Therefore, whether you’re a training director, association representative, employer representative, or an individual applicant, the experts at NITC are there to help. Contact them at (877) 457-6482 to learn more about how their products help prepare the best, most reliable, and safest trade professionals possible throughout our wide range of industry certifications. Have your personnel certified with the certification company, National ITC, today!